With 29 wins from 31 professional fights, Lamont Peterson is an opponent who Amir Khan will have to treat with respect in Washington DC on December 11. What is interesting to note about Peterson, 7/1 to win the fight outright, is his willingness and tendency to fight on home soil throughout his seven-year career to date. Just two of the fights Peterson has participated in have come on ‘enemy territory’ so to speak, and the 29-year-old will be keen to make that advantage count in his hometown. 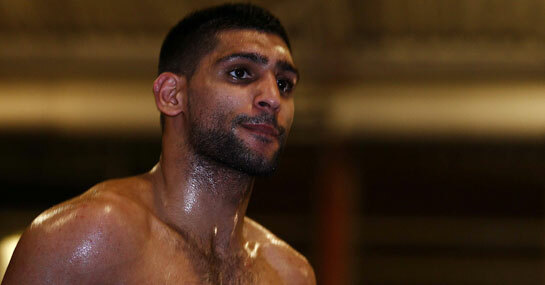 The visiting fighter Khan though, is just as determined to make an impression in America, as he looks to build a Stateside fan base and reputation that will improve his chances of meeting Floyd Mayweather Jr. in coming years. To do that, he will want to make short work of his opponent in this bout, and the massive contrasts between the prices of the respective fighters for an early knockout represent who is the clear favourite in this fight, even whilst giving up home advantage. Khan, who has won on each of his four USA visits, is 1/12 to win the fight, and 18/1 to achieve a first round knockout, whilst his opponent’s chances of scoring the same result are a massive 125/1. The English fighter has experienced difficult atmospheres with more regularity in his career, and having bested a better standard of opponents than Peterson has conquered in his professional outings, Khan looks the best bet to be the victor in America here. The Bolton-born former Olympian has rapid hand speed, and a higher percentage of knockout wins (18 from 26,) seems to indicate that round betting could be the best way to make money from this fight. Rounds five to nine inclusive are 12/1 and it could be wise to back Khan to pick off Peterson within this frame.